Broken Social Scene have had a busy start to the year. Last month, the band released a new EP titled Let’s Try The After – Vol 1, and kicked off a North American tour with a string of shows throughout the South. Earlier in the year, they performed live on George Stroumboulopoulos’ The Strombo Show. They also played South by Southwest. Now, Broken Social Scene are gearing up to release their second EP of the year, fittingly titled Let’s Try The After – Vol 2. They’ve already shared “Can’t Find My Heart” as the project’s first single; today, the band have made a new song titled “Big Couches” available to stream through Adult Swim’s Singles series. With its tasteful autotune and propulsive riffs, the track makes for a compelling entry in the band’s recent catalogue. 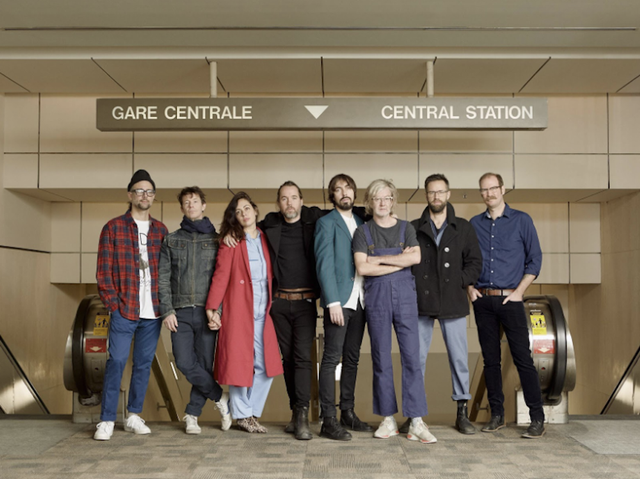 Broken Social Scene’s new EP Let’s Try The After – Vol 2 is out on April 12 via Arts & Crafts. On April 13, the band will release special physical editions of both Let’s Try The After EPs, packaged together for Record Store Day. Broken Social Scene are touring through August, with dates across the U.S., Canada, and Europe. Grab a ticket here, and hear the band’s new single “Big Couches” below, via Adult Swim.